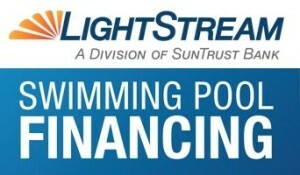 Is inground pool financing something you are considering to fund your backyard dreams? With Blue Haven, you can get started right away with a free. 3. Excellent loan rates. (Low as 3.74%). 6. Complete control over when the funds get dispersed. 2. Funds to borrower within 24 hours via ACH. 3. Terms from 36 months to 84 months. 5.Absolutely no loan costs, fees or prepay penalties. 1. Terms to 7 years. 2. Rates dependent on Equifax Score starting at 8.99%. 3. Credit Score minimum of 680. 4. Absolutely no loan costs, fees or prepay penalties. 5. Funds directly to Trinity via ACH transfer upon confirmation of delivery of pool. 1. Terms to 20 years. 2. Rates as low as 5.25%. 3. Funds per contract draw schedule. Call them today at 877.754.5966 or Click to Apply Online. If you have any questions about our financing program, please fill out online form or call us at 903-581-0005.